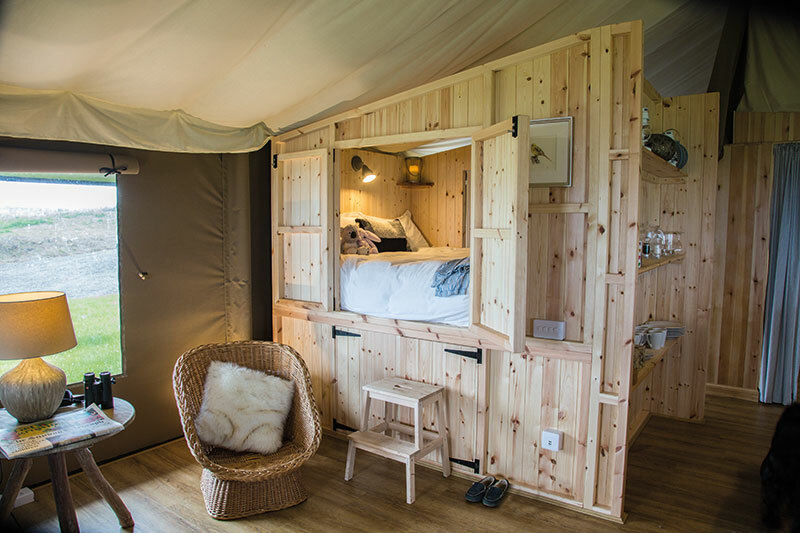 Camping in Scotland is not for the faint-hearted, even in the middle of June, so booking a short break under canvas for the dark end of October might sound like complete madness. 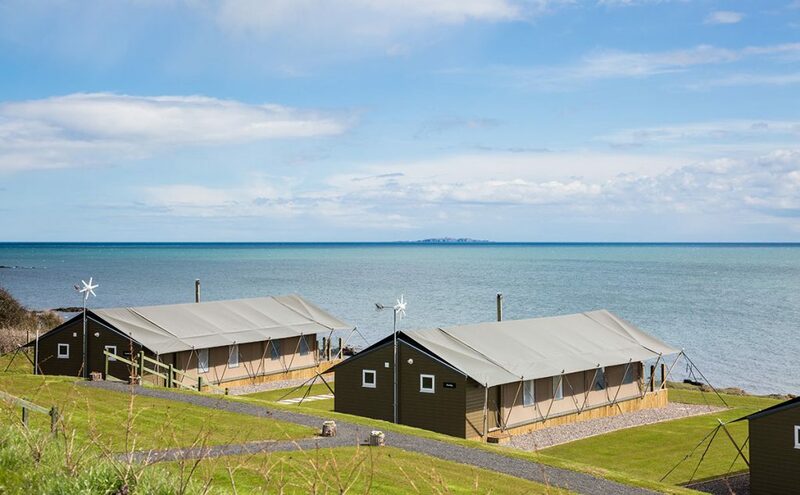 The Catchpenny Safari Lodges in the East Neuk, however, are very far removed from simple tents. 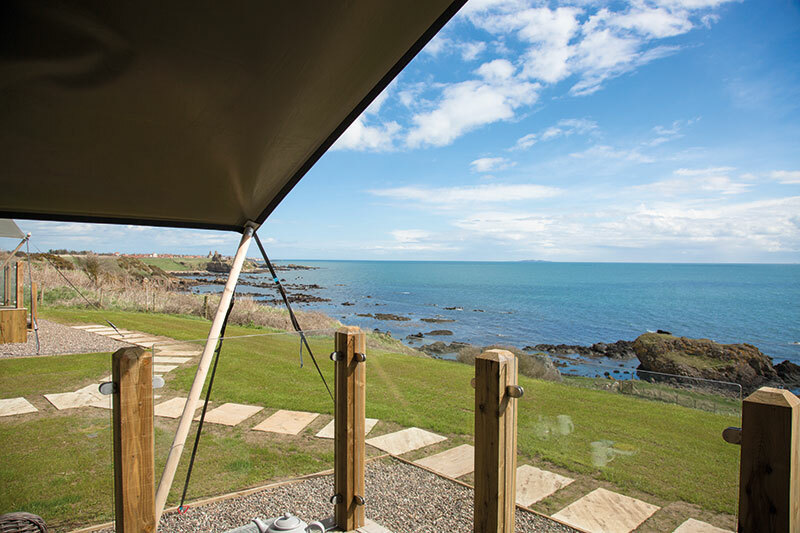 Open since last spring, the site, which overlooks the sea between Elie and St Monans on a stretch of the former Fife Coast Railway, promises to take the glamping experience up a notch. Our visit coincided with the last weekend of the season, and didn’t get off to the best of starts – it was pitch dark by the time we arrived, having got lost on the way (Catchpenny is about 200 yards beyond the entrance to the Ardross Farm shop – KY9 1EU will take you to Ardross, which is well signposted in the local area). Worse, it was freezing – the coldest day of the year so far. Spirits were high, however, although it was hard to know if it was our eight-year-old son or his parents who were more excited. There is no reception, but the very friendly Lorraine met us at the car park. Down a few steps, by torchlight, she showed us to Lapwing Lodge, our tastefully glamped-up home for the next few days. It’s one of eight steel-framed lodges here, firmly anchored to wooden decks so there’s no danger of being blown away during the night. Inside, via a hardy canvas door, there’s an open-plan living-dining-kitchen area with a large woodburner that doubles as a hob and oven. Two snug bedrooms at the back are centrally heated (they can sleep up to six people, in two double and two single beds), and the spacious bathroom beyond has a walk-in shower and loads of lovely hot water. It all feels charming and nostalgic – a blend of African safari (I imagine), army (reminiscent of M*A*S*H, at least) and the Scouts (so my boy tells me). We bedded down for the night to the sound of the waves crashing on the invisible beach and woke the next morning to bright sunshine and wonderful views across the Firth of Forth. After a cup of coffee on the inviting hardwood deck, we set off to explore. Catchpenny’s owners, Alex and Tara Nairn, have gone out of their way to make a stay here as cosy as possible while still allowing you to feel as if you’re truly off-grid. 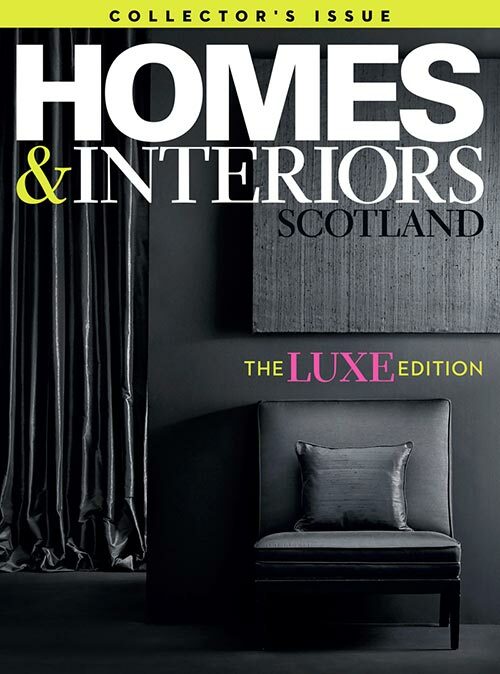 They moved to Fife from Australia, so are acutely aware that keeping warm is the key to success here. 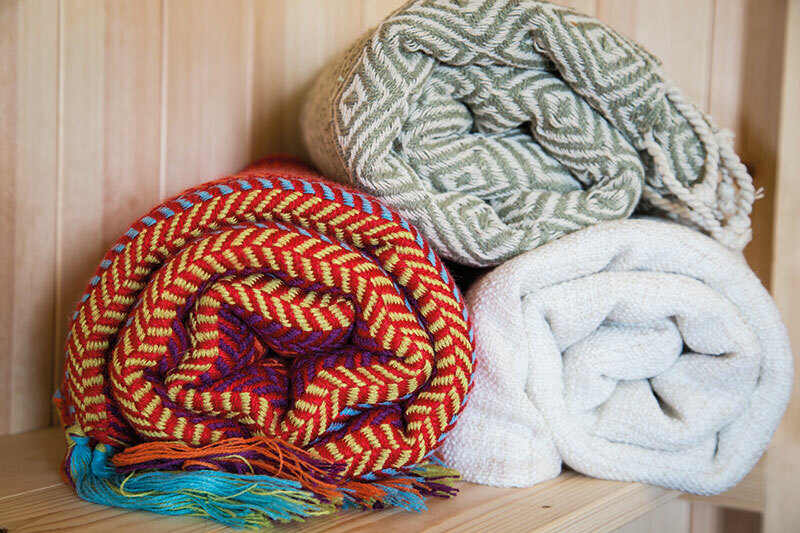 All linen and towels are provided, hot-water bottles, too, as well as luxe bathroom products. The mattresses are memorably comfortable. 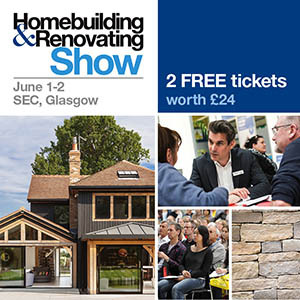 They recommend you bring binoculars, slippers and dressing gowns. “You’re sleeping in a canvas tent, so be prepared!” they warn as you book. We stuffed the car boot with Aran knits, and were glad we had, even though our lodge was perfectly warm. They also provide tea and coffee, and there’s olive oil and salt and pepper in the kitchen, just in case more seasoning is needed for the delicious home-made burgers and steak pies on sale at the Ardoss shop en route (note, it closes at 5.30pm). Pre-orders for firewood and kindling can be made when you book, and replenished here, too. This is the place to get away from WiFi (although it is available), to encourage kids to lift their heads from their screens. The ever-changing seascape is visual stimulation enough, and a really good stress buster before the drama of the evening’s board-game tournament kicks in. Our Connect 4 challenge lasted hours – and there were tears. 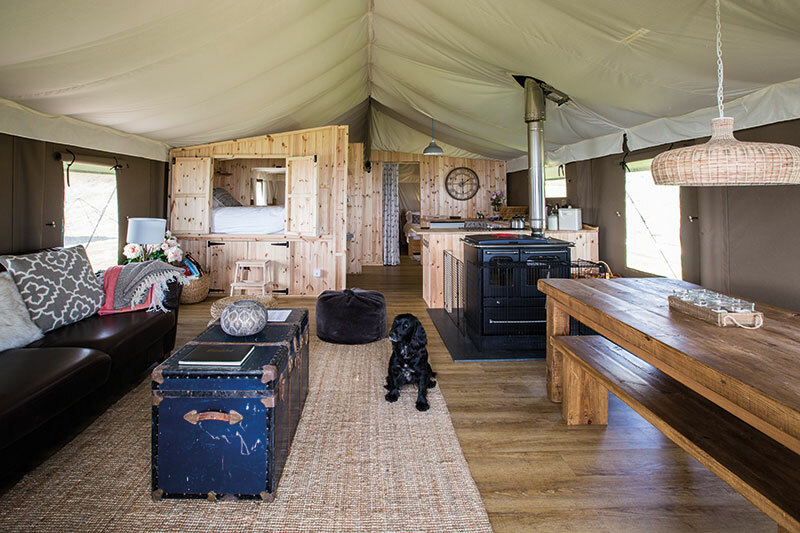 The Nairns considered all sorts of accommodation options when they were drawing up their plans for Catchpenny, but the cabins, yurts and shepherds’ huts they looked at had none of the wow factor of these safari lodges. 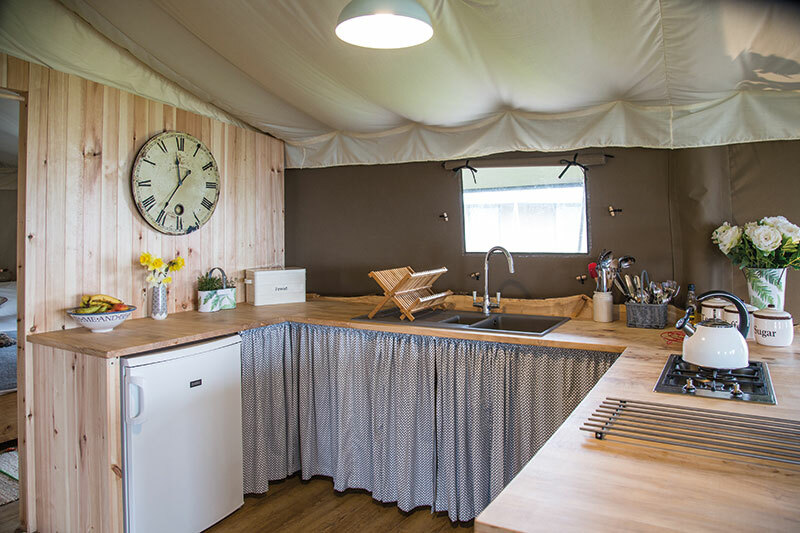 It’s the remarkable comfort and ease of living that make a stay here memorable – all the pleasures of camping minus the hazards of leaky tent, soggy sleeping bag or swarm of midges. And the beautiful wild position only makes it extra special; you can be sitting on the front deck with a hot chocolate watching a pod of dolphins swim by.